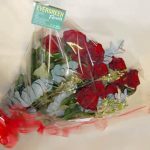 Half Dozen Red Roses. 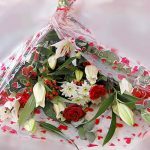 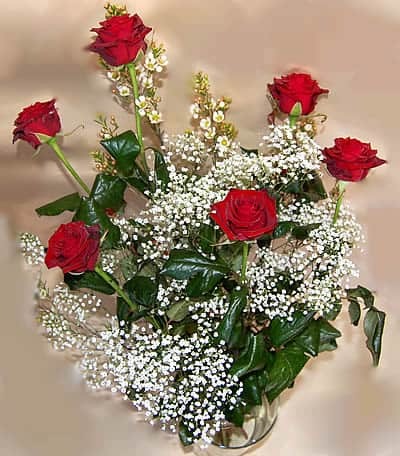 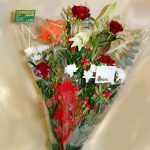 Six red roses with white flowers to emphasize the red of the roses and their green leaves. 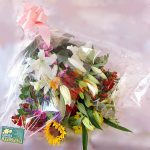 A delightful bouquet for any romantic situation.